Gideon, Cooper & Essary PLC has a practice devoted wholly to civil litigation and trial work. Recruiting is handled primarily through the firm's summer program. Members of Gideon, Cooper & Essary PLC have in years past interviewed second year law students on campus at the University of Alabama School of Law, Cumberland School of Law, The University of Tennessee School of Law, Vanderbilt University School of Law, and other Southeastern law schools. The firm also receives and considers resumes from law students throughout the Southeast. The number of summer associates varies from year to year. Summer associates are invited to work either at the first or second part of the summer. The focus of our summer associate program is an effort to allow summer associates to learn about and observe the litigation process. We place a great deal of emphasis on having summer associates view the process first-hand. The nature of this firm's practice offers a unique opportunity for law students to do much more than legal research and writing. Summer associates are encouraged to accompany attorneys out of the office on a weekly basis, and are given opportunities to observe and attend activities such as meetings with witnesses, depositions, hearings, and trials. All summer associates have access to computers, the Internet, and Westlaw. 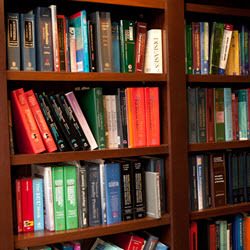 Projects assigned to summer associates vary, but typically range from short research projects and preparation of memoranda of law, to more extensive research projects and assisting attorneys in preparing legal briefs and preparing summaries of depositions that the summer associate attends. The firm's diverse client base allows for a wide range of assignment topics and a wide range of exposure to various types of activities outside the office. Salaries for our summer associates and first year associate attorneys are competitive with those offered by other law firms in Nashville. In addition, first year associate attorneys receive excellent benefits including comprehensive medical, dental, disability, and life insurance.